KCU is growing and we’re looking to add talented individuals for both faculty and staff positions at our Kansas City and Joplin locations. We offer a competitive and comprehensive benefits package, extensive career enhancement options and additional time off to volunteer at local organizations, carrying out our mission of improving the well-being of the communities we serve. 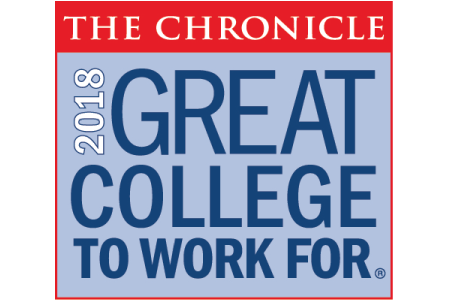 If you’re ready to make a difference in the lives of future physicians, scientists and bioethicists, then we invite you to learn more about the exciting opportunities at KCU-Kansas City and KCU-Joplin. KCU is an equal opportunity employer. KCU was recognized in two categories: Compensation & Benefits and Facilities, Workspace & Security. Read more. 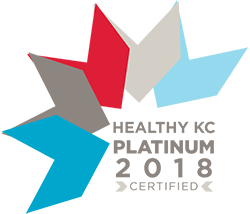 The Greater Kansas City Chamber of Commerce awarded KCU the the 2018 Platinum Level Healthy KC Certificate. The certificate is awarded to organizations that have made wellness a priority. KCU promotes employee health through numerous ways, including on-campus workout classes, an employee gym, informational wellness classes, healthy food options on campus and more. Each year Ingram's magazine looks at companies large and small across Kansas City to find employers that truly stand apart. Exceptional leadership, unbeatable benefits, growth opportunities and a true work/life balance are just some of the criteria Ingram's considers. In addition, a clear mission and vision that is carried out is heavily weighed. 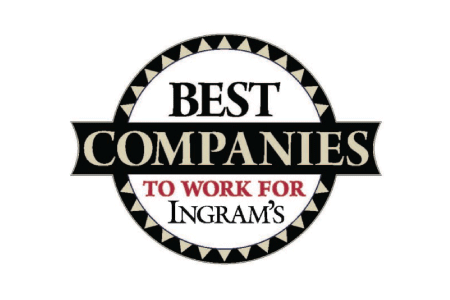 KCU is a proud recipient of Ingram's 2017 Best Companies to Work For. Learn more about what makes KCU truly a best company to work for.